Thank you to poornima and Nazir’s! We had a wonderful time with poornima at Nazir’s tonight, thank you so much to Emily for hosting us! 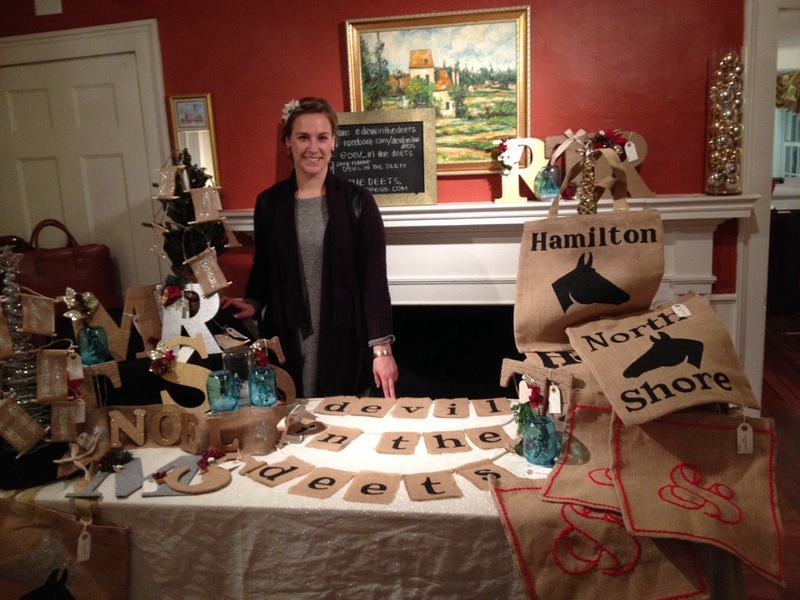 It was so great meeting new crafters and artists; looking forward to fun new partnerships and new products! Poornima show on Thursday = New Products!! 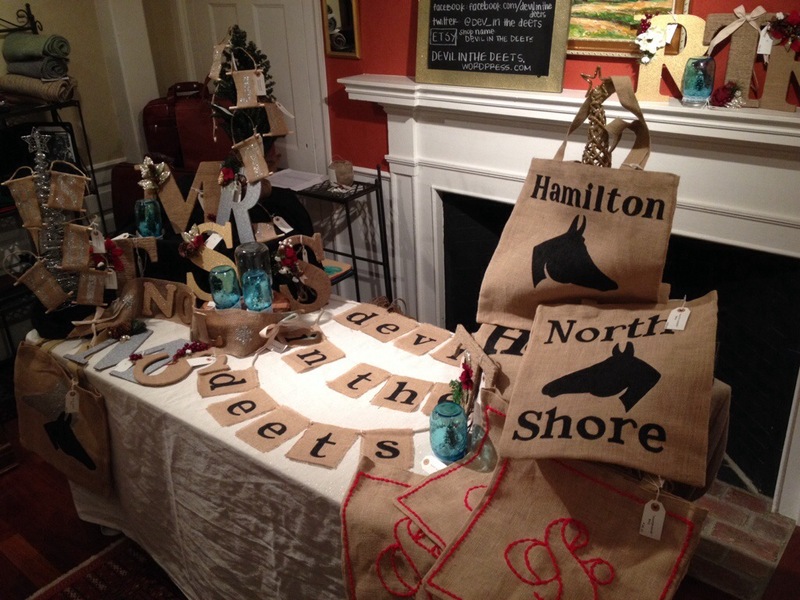 In advance of the poornima show this Thursday we have all new items up in the Etsy Shop! 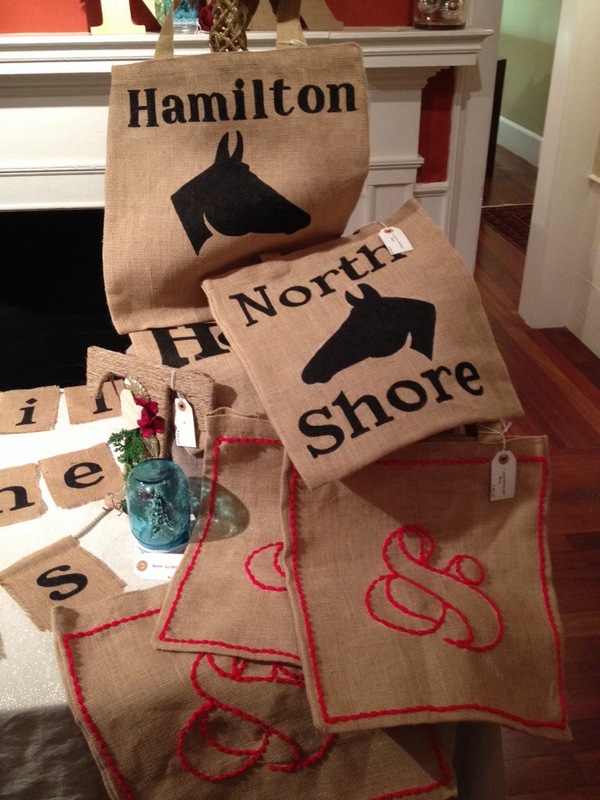 Take a look and place an order for Christmas! Remember, anything you see is completely customizable! 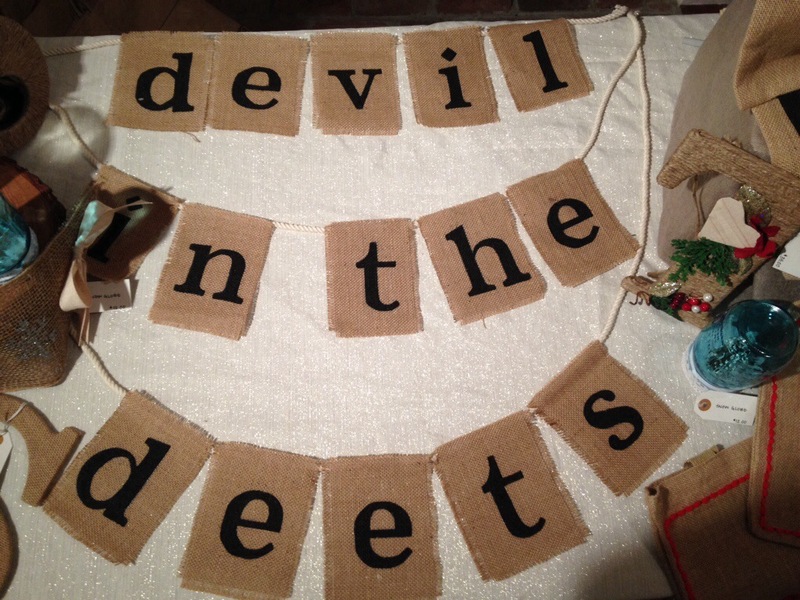 Just send us an email at devilinthedeets@gmail.com. There are days when I look back and wonder about what could have been. Not in a sappy emotional way, but in a way of: had I not transferred college a bajillion times or stuck with one of an array of random one-off jobs that I bounced around to and fro, or if I hadn’t moved to be closer to my sister, what would have happened? Would I be doing this still? (Answer: Duh.) Would I know the people I know now? Would I live where I currently live? Would I still drive Inga? It’s a jumbling thought, kind of like when you think about the far reaches of space or your own human insignificance. It makes your arms go numb. And tingly. And then you pour yourself a glass of wine and put on old reruns of Friends (right?!) to make your mind focus on just how amazing midriff-baring baby Ts and acid washed wide-leg jeans are. The reason my mind is currently attending space Tumbling Tots is because I am ever-so-grateful that my friends I abandoned after Freshman year of college have overlooked my flighty wanderlust and let me seamlessly back into our old group of friends. These group of “women” (nids, really) have shaped my life since the moment we drunkenly wandered into each others rooms (…Shammy) and are continuing to do so. Not only that, but the support they show for each and every person is astronomical (lots o’ space references today). Something you don’t find often, and something you may not think you deserve. Ok, enough. Long story short: they rock, I’m speechless and unworthy, and they let me DITD all over their lives and I’m uber appreciative. One such instance: Michael’s 30th Birthday Party that his kick-A wife planned as a huge surprise with friends and family coming in from all over the States. 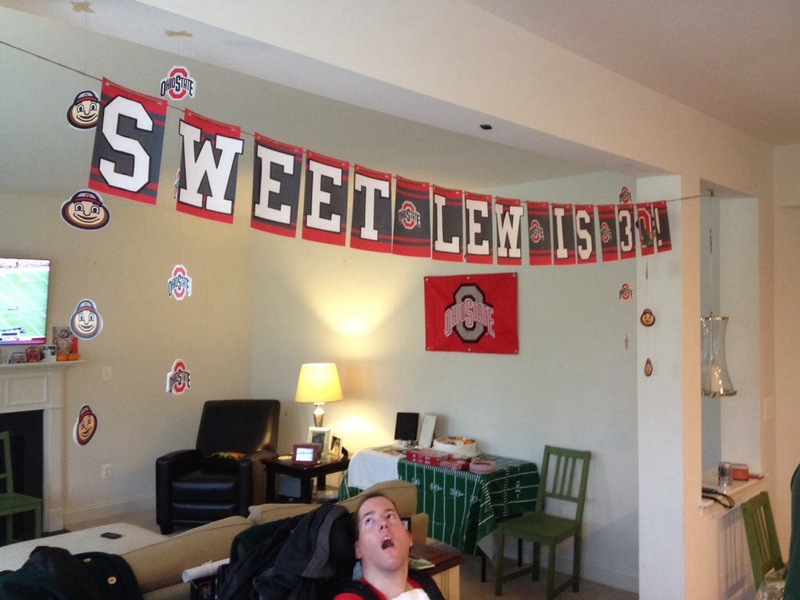 The surprise went off without a hitch and I got to paint, glue, boss and decorate to my hearts content. Below are some pretty tame photographic examples of the evening (this may have been before snugglefest-07 under the dining room table). Courtney originally wanted to take part in a local walk to support Best Buddies International, an organization in which Michael actively participated through college, though that fell through. 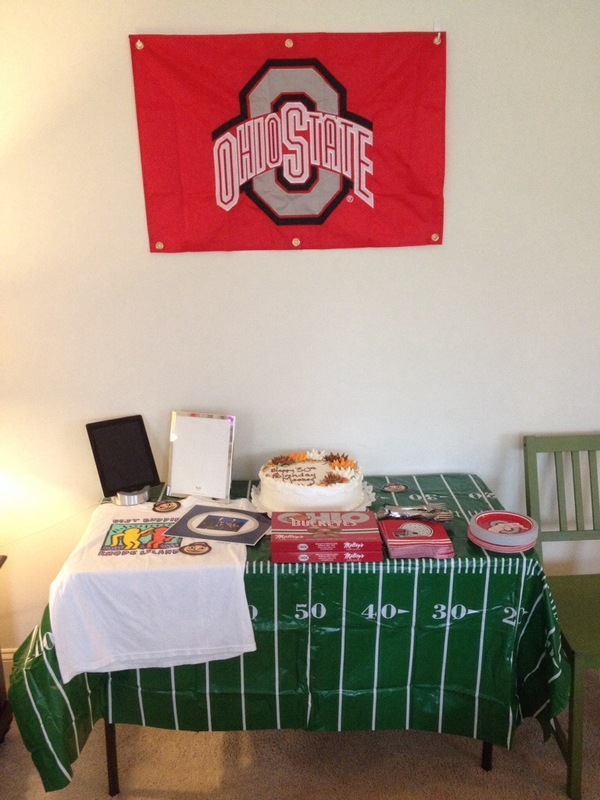 We ended up setting up a “Donation Station” with an iPad for party attendees to donate if they felt so inclined. It was a great way to celebrate a cause that was important to Michael, as well as having the opportunity to give back during the festivities. 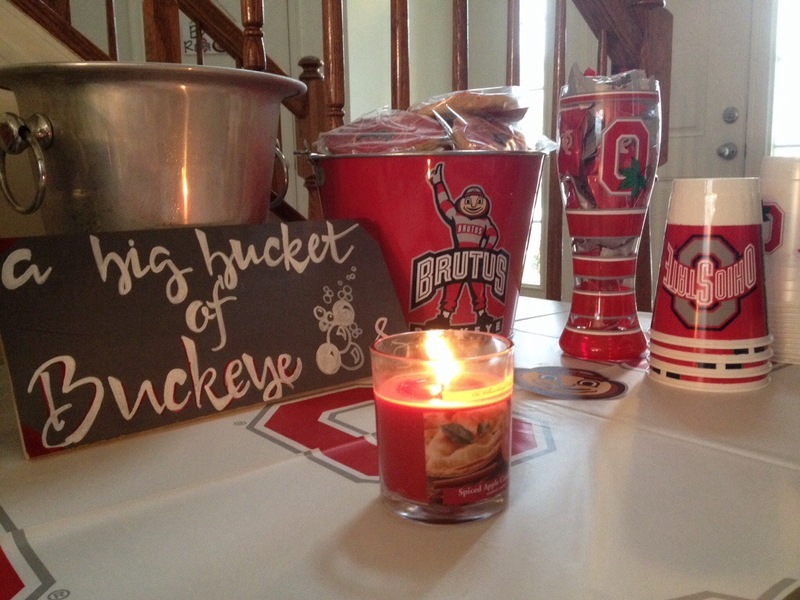 Buckeye details and paperware really bring this all together! 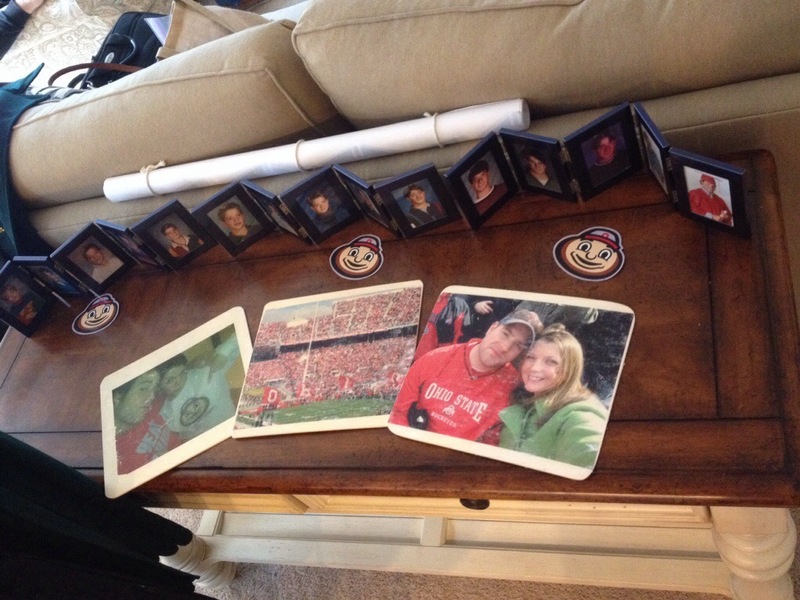 To celebrate the times they’ve spent together at Ohio State related functions, I created simple wood photo transfers of Michael and Courtney out and about in Buckeye Nation. This was a genius idea by one of Michael’s close friends. 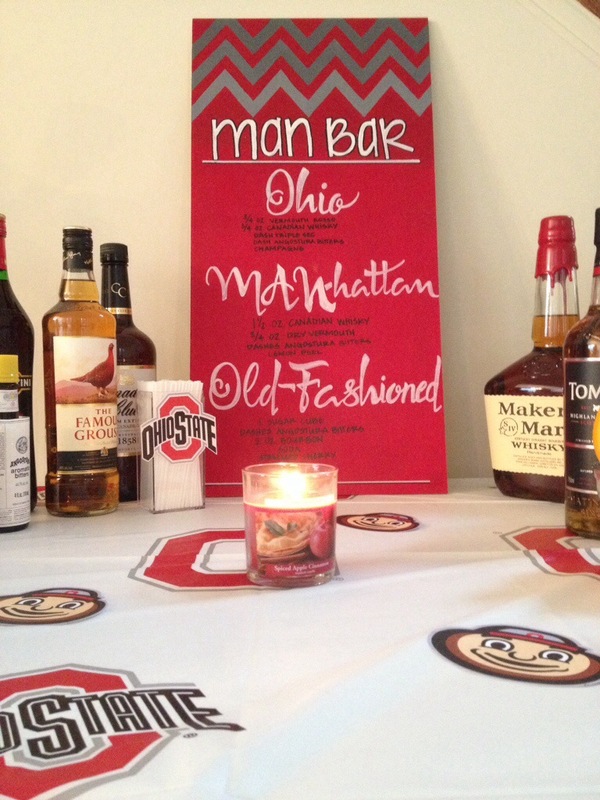 The Man Bar featured whiskey drinks (a Michael favorite) and included recipes for making an Ohio (obvi), a Manhattan and an Old-Fashioned. 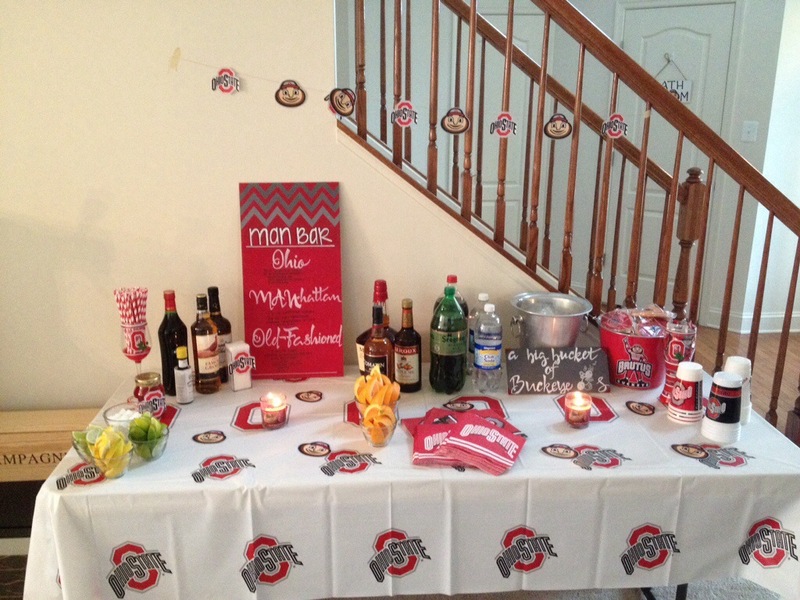 The custom sign helped everyone be their own mixologist and the Ohio State details and corresponding colors created a great effect. After receiving a case of champagne in one bottle (yes, that’s possible and yes, it’s incredibly heavy and yes, it was finished by night’s end) for their wedding, Courtney thought a great place for the champagne to be enjoyed was at this great party celebrating Michael’s 30 years. 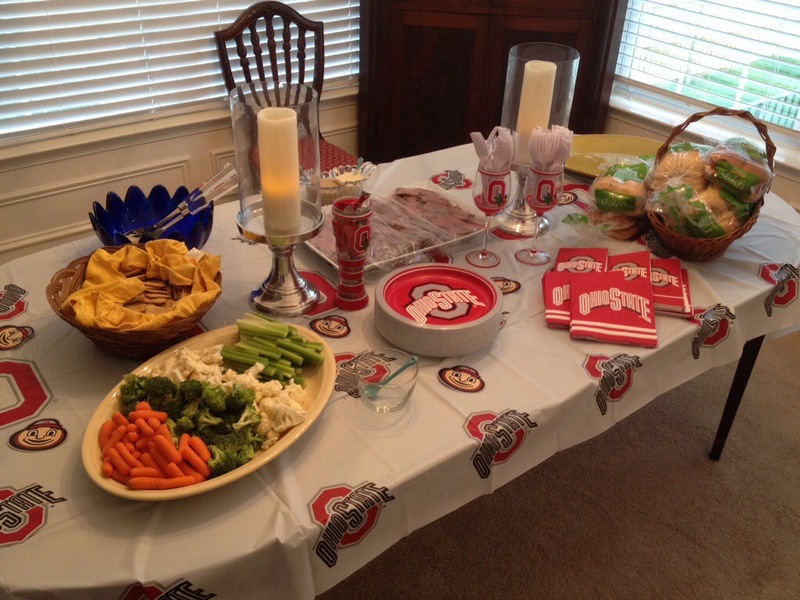 The custom sign brought the Ohio State theme together with the bottle along with themed cups, glasses, buckets and cookies (that were some of the best cookies I’ve ever had, brought in from Ohio by Michael’s parents). Courtney and I have an ongoing joke that is too weird to explain but includes bathroom signs, ceiling fans and a suggestion box for her house. 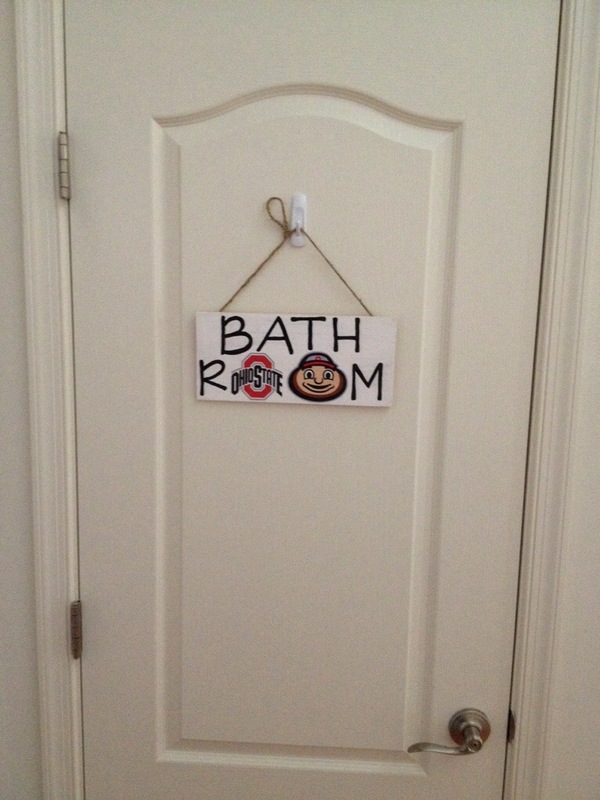 I made this sign as a joke for the party, but it is noteworthy that a month later it is still hanging on the bathroom door! DevilInTheDeets-1, Courtney-0. More examples of our Single Letter Nautical Monogram up on Etsty! Visit out Etsy site for more examples of our Single Letter Nautical Monogram and order yours today just in time for the holidays! Custom Order for Alexa live on Etsy! Custom order for Alexa (a wonderful friend from my UConn days) is live on our Etsy site! 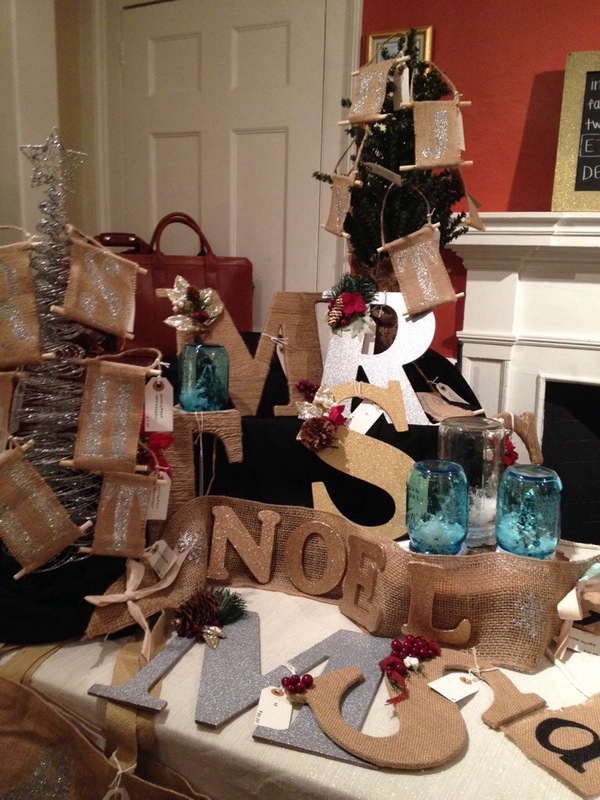 Take a peek at the newest creation and put in your custom order today! Photos coming soon, I promise! 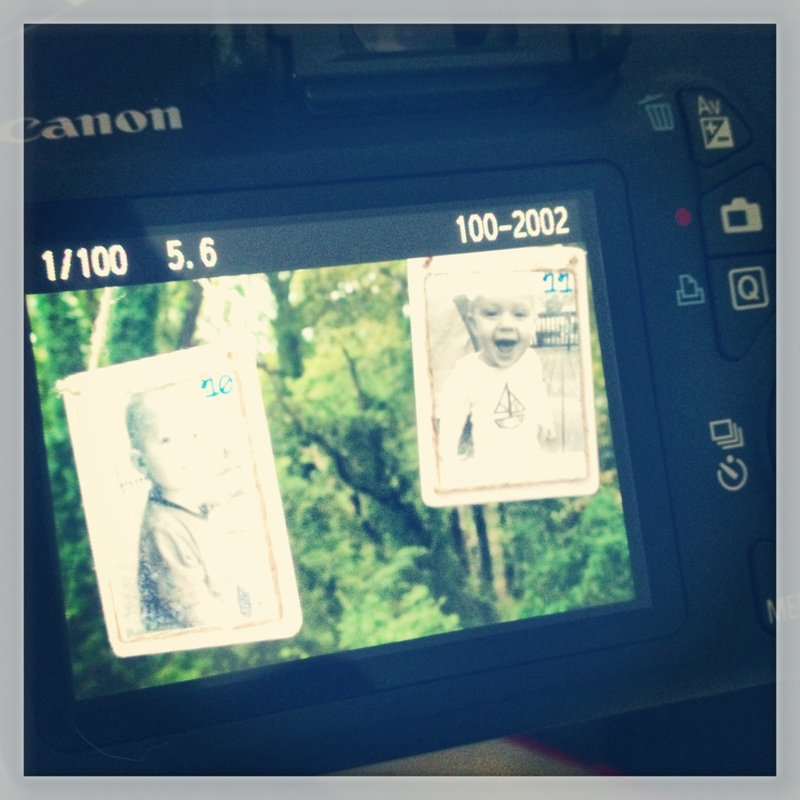 Apologies for the lack of photos from Lleyton’s 1st Birthday! They will be up soon, hopefully! Lots of new projects in the mix, photos will go up on the blog soon and samples will be available for customization and ordering through our Etsy page as well! After many hours of navigating the murky waters of Etsy, we are happy to finally announce that our shop is live! You can visit and purchase by clicking here. More and more products will be added as I get better quality photos back, and we can always work with you to create a unique item if you don’t see anything listed that tickles your fancy.